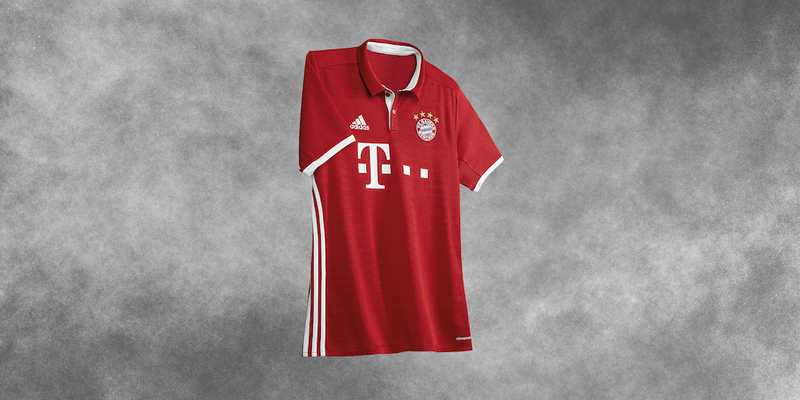 The 2016/17 Bayern Munich Away jersey features a colorway made up of grey hues inspired by the streets of Germany's third largest city where many young players get their start playing football. Chelsea's Away jersey also features a darker colorway with tonal black and heathered grey streetwear-inspired stripes. The kit is finished off with bright pops of Solar Yellow details. 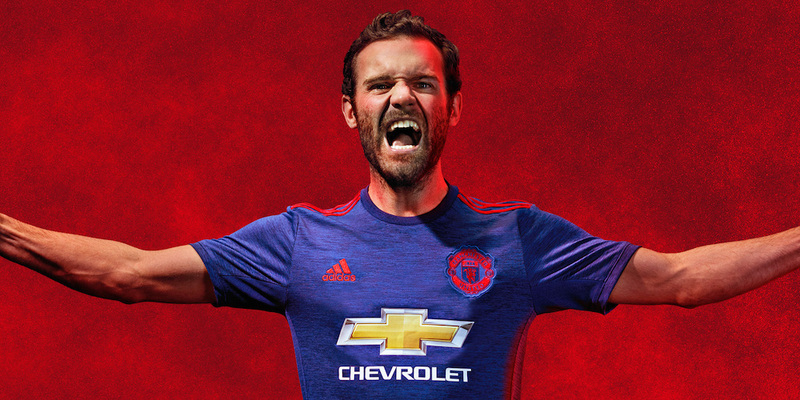 Another streetwear-inspired look was created for the 2016/17 Manchester United Away jersey, which features a soft heathered blue colorway with Solar Red detailing. The 2016/17 Real Madrid Away jersey takes the sharpest departure from tradition with a bright purple colorway inspired by the Quinta del Buitre core team of Real Madrid in the 1980s. All 2016/17 away jerseys by Adidas are available now in the shop in adult and youth sizes. The Manchester City Away jersey boasts a striking black and yellow colorway for the 2016/17 season. Black and yellow was a design decision inspired by a symbol synonymous with Manchester: the worker bee, which grew in popularity due to the city's growth during the Industrial Revolution. The red sleeves round out the jersey in a nod to vintage Man City kits. The 2016/17 Manchester City Away jersey is available in the shop in adult and youth sizes. The 2016/17 Paris Saint-Germain jersey comes in a vibrant red colorway with white and blue details that together symbolize the colors of the Tricolore, the French national flag. The PSG Away jersey will be available in the shop in adult and youth sizes. The traditional FC Barcelona colors, red and blue, have combined to create the striking purple colorway of the 2016/17 Barcelona Away jersey. Rounded out with pink detailing to really make the jersey pop, this kit will surely standout on pitch this coming season. The 2016/17 Barcelona Away jersey is available in the shop in adult and youth sizes. The 2016/17 Bayern Munich and Real Madrid home jerseys both feature the same collared design that can be worn casually as well as on the pitch. The Bayern kit features subtle red tonal striping down the front of the jersey, and the Real Madrid kit comes in a classic white with navy/purple detailing. The 2016/17 Chelsea Home kit features a tonal lion pattern throughout the jersey that was taken from the Chelsea crest. 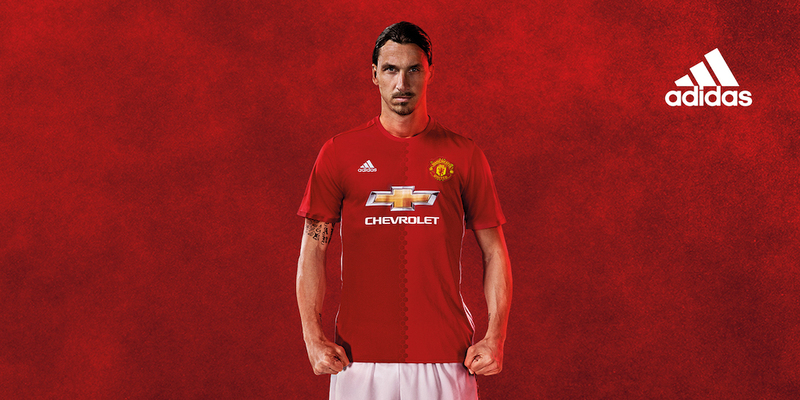 The Manchester United Home kit is a two-tone red jersey split down the middle with a hexagon pattern inspired by the original crest. All the new jerseys by Adidas break from tradition and now feature the 3-stripes down the sides of the jerseys, under the arms. All 2016/17 Adidas Home jerseys are available in the shop in adult and youth sizes. The 2016/17 Manchester City Home kit features the traditional light blue colorway with navy striping on the arms. A new, updated crest is also featured on the left chest. The Man City Home kit is available in the shop in adult and youth sizes. 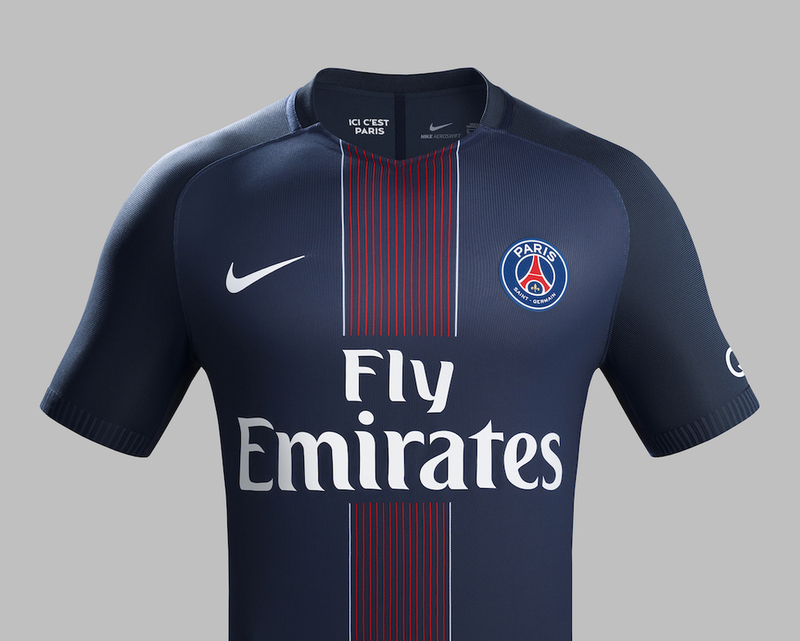 The 2016/17 Paris Saint-Germain Home kit features the classic striping pattern down the middle of the jersey in thin red stripes outlined with white. The jersey is a subtle two-tone navy, with slightly darker sleeves. The 2016/17 PSG Home kit is available in the shop in youth sizes. The 2016/17 Barcelona Home kit returns to tradition by omitting a major sponsor from the front of their jersey. This kit also features the return of the red and blue vertical stripes, with subtle tonal striping and a darker navy blue featured on the sleeves. The 2016/17 Barca Home jersey is available in the shop in adult and youth sizes.